Cancer Fighting Super Food - Here are some Broccoli Facts and Broccoli nutrition information. Broccoli is fast becoming one of the most important vegetables in the world and there are two major reasons for this. The quality and adaptability of broccoli has improved so much. Broccoli is now an all season crop and some varieties have even been adapted to take temperatures of up to 40°C. The heath aspect and healing qualities of broccoli have really begun to gain the world’s attention. It ranks as one of the top super foods and on the list of healthiest food in the world. Broccoli is loaded with vitamin A, has as much calcium as milk, is high in vitamin C and dietary fiber, and is a good source of iron, lutein and a host of other beneficial elements. Much research has and is being done to discover Broccoli facts and the potential of using broccoli to reduce cancers and other degenerative diseases. Eating cruciferous vegetables, especially broccoli, has been shown to reduce the incidence of breast cancer, which is the leading killer of middle-aged women in the United States. 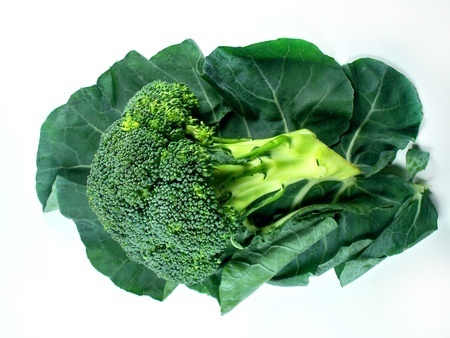 Broccoli nutrition has also been linked to the lowering of lung and colon cancers. In fact, young womem who eat a single helping of broccoli each week reduce their chances of developing breast cancer significantly. Broccoli Facts - broccoli contains two unique phytochemicals – isothiocyanates and indoles. Isothiocyanates actually boost your liver’s ability to detoxify any carcinogens to which you are exposed. Indoles may help prevent cancer by assisting your body to break down the hormones that cause breast cancer cell proliferation. Isothiocyanates can be destroyed by cooking, but researchers at Illinois University discovered that sulphoraphane, the beneficial product of isothiocyanate, is lined to a sugar molecule by a sulphur bond. When an enzyme breaks this bond, a protein links onto the sulphur and renders the sulphoraphane inactive. They discovered that by steaming the broccoli for 3-4 minutes, this protein is destroyed, thereby leaving the sulphoraphane to do its anti-cancer duties. At this stage of cooking, broccoli is described as tough-tender. An alternative way is to keep the broccoli at 60°C for 10 minutes, but this is more difficult. The indoles are also more readily available after cooking. This valuable information was only discovered a few years ago, so we should now all be eating our weekly broccoli to maximize our body’s cancer fighting abilities. UCLA researchers recently discovered that broccoli may play a role in rejuvenating the body’s immune system which weakens as people age. It is quite probable that more good broccoli facts will be discovered as further research is done top super foods and on the list of healthiest food in the world. Broccoli is loaded with vitamin A, has as much calcium as milk, is high in vitamin C and dietary fiber, and is a good source of iron, lutein and a host of other beneficial elements. The advantage of growing your own broccoli is that you are able to harvest at peak freshness for maximum taste and nutrition and if you grow sufficient, you will tend to eat more and reap the health benefits. You will also be able to eat the delicious leaves which are not readily available in supermarkets. When it comes to setting priorities for your planting programme, broccoli should be at the top of the list given the health properties, productivity and time to harvest. Your life could depend on it. Harvesting takes place 60-70 days after sowing, making it a relatively quick crop with good production. Here broccoli comes into its own as, after the main heads are harvested, side shoots develop, which effectively extend the harvest season as you can also get a couple of side shoot pickings. The leaves are also a very tasty, nutritious vegetable which rivals spinach for taste. Some farmers make more money by selling broccoli leaves on the market than the get for the heads! You can effectively get two vegetables from one picking by eating the broccoli heads and “spinach” leaves at one time. And there is more! When you are finished with the main heads, side shoots and leaves, the stems can be harvested, peeled and the delicious nutritious stalk centers eaten. These stems can also be thinly sliced and included raw in salads.